Home Uncategories The Voice of the Turtle Episode 30: No more predictions! The Voice of the Turtle Episode 30: No more predictions! 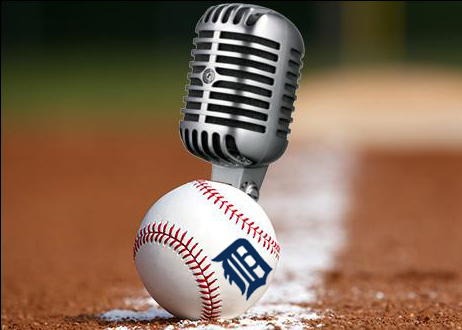 The Detroit Tigers are finally getting back on track, and so is The Voice of the Turtle! After suffering a crushing home series sweep at the hands of the Cleveland Indians, the Tigers got back in the win column by taking three of four games against the Oakland A's. The offense woke up, Miguel Cabrera showed that he's still Miguel Cabrera, and Brad Ausmus continued pushing all the right buttons. The next week could tell us a lot about this Tigers team, though. Top prospect Michael Fulmer is slated to make his major league debut against the Minnesota Twins on Friday, while the Tigers have six upcoming games against divisional opponents. With the AL Central looking like a season-long dogfight, the Tigers will need every win against the Central they can get, and beating a couple teams while they're down is the right place to start. That's not all in store for this week's episode, though. We rant about Tyler Collins' favorite finger, take our usual batch of listener questions, and Rob forces HookSlide into yet another bad drinking habit. Plus, both hosts are starting to sway from their tried-and-true #TeamRod roots. - Will Cameron Maybin every play for Detroit? - Which Fox Sports Detroit broadcaster is best? Click here to subscribe to the podcast on iTunes! Also, make sure to rate and review the show to boost our visibility (and beat those goons at The Podcastellanos).